If you live near Augusta, Milledgeville, Macon, Southwest Georgia, or Gwinnett County, we want you on our team. 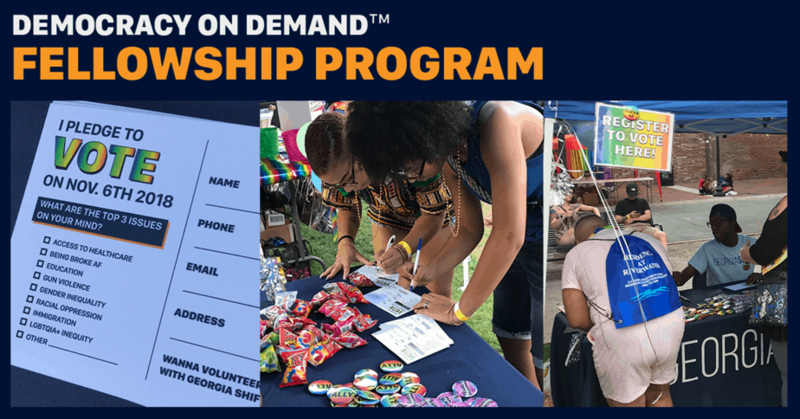 The Democracy On Demand™ Fellowship is a paid part-time leadership opportunity designed to cultivate the natural gifts of marginalized young people for civic leadership. It includes training, mentorship, and project-based work tailored for their natural talents and fosters their growth as emerging civic leaders. Fellows will receive a stipend of $1,000 per month, and work from July through November.